Image of SWERVE Studio, a cycling studio in NYC. When summer starts, many ramp up their health and wellness routines. In New York City, this means that boutique fitness studios and gyms fill up with even more clients looking to try out some of the hottest trends in fitness. Workout classes are a great way to change up your routine or to find some extra motivation, but with a new workout, you must always make sure you take the proper steps to avoid injury. what are the top two pieces of advice that you give to your clients to help them avoid injury? The top two pieces of advice overall: Listen to your body and modify! In order to avoid any injury in a fitness class it’s best to do your homework prior to choosing your class. Make sure the instructors are certified and that the class is appropriate for your workout goals. Once you’ve mindfully chosen your class make sure to show up early, be dressed in proper attire and make the instructor aware of any preexisting conditions you may have so he or she can tailor your workout accordingly. 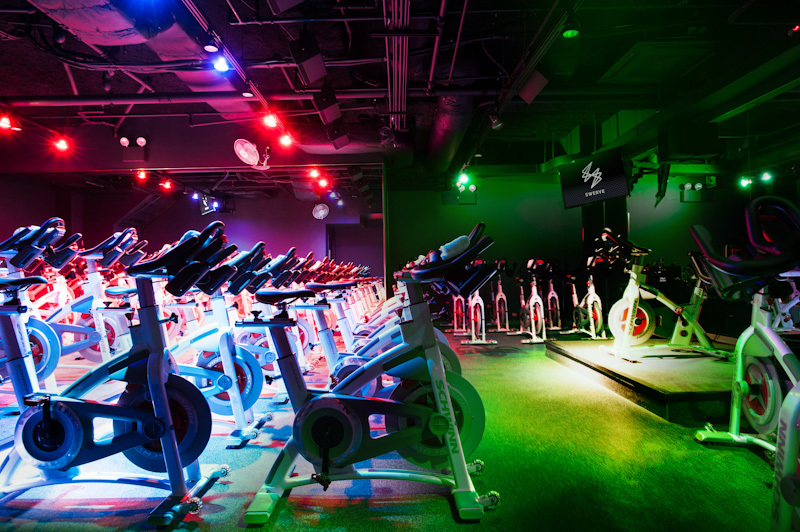 SWERVE Fitness is a team inspired indoor cycling class where they “use teamwork and tech to create the best cardio workout.” Swerve has three locations in New York: Montauk, Flatiron, and Midtown. 1) Focus on recovery as much as the training and make sure to include quality sleep, proper nutrition, and massage, to highlight some key elements of rest! 2) Incorporate strength training in your program 2 x per week. Mile High Run Club is NYC’s premier indoor running studio offering dedicated coaches and challenging programs. MHRC operates two locations in NYC: Nomad and Noho. Debora Warner is the Founder and CEO of MHRC. While Pilates class goers enjoy a high student to teacher ratio making for excellent supervision, it’s still easy to get hurt on the bulky equipment if you aren’t careful. First timers — ask for an equipment recap. Instructors should show you how to change springs, straps and gears as appropriate. Practice moving the parts around a few times. Handling sharp metal springs has been known to result in broken nails and broken skin on occasion. Get schooled in the basics. Pilates classes are loaded with folks recovering from back, knee or hip injuries. The classic Pilates routine is full of moves that target these areas but should be modified for a recently recovered or weak body part. Be absolutely certain to tell your instructor about any injury old or new — so they can custom build your routine. All Pilates exercises are adaptable for any body part. Once you are in a move, start your first rep slowly. Pilates takes time to learn and you need a few reps to build a motor pattern. Take that time to move slowly and carefully building up tempo as you go. Your muscles have memory and they will build strength, alignment and stamina as you go. Give them a minute to set it up right. Real Pilates NYC creates and provides one of a kind pilates training for all fitness enthusiasts and has three studios in NYC: Tribeca, Soho, and Upper East Side. Real Pilates NYC Founder’ Alycea Ungaro is a published authority on fitness and wellness and a pioneer of the Pilates method, and she is also a licensed physical therapist. Remember that “how many” is never as important as “how” you are doing an exercise. Take the time for correct form and to make sure you are activating the correct muscles, including the mobilizers AND stabilizers, which are really the ones that keep you injury free. Often times (especially in NYC) the idea of a HARD workout wins over the idea of a SMART workout and unfortunately that’s where people get into trouble. So take your time and be smart about your movements. Do not check out during class. Remember that every word they are saying is for your benefit, not only to help you get the most out of each exercise but to keep you safe. At FLEX we offer not only form and anatomy cues but modifications to ensure each client is moving in a way that is suitable for their body that day. Focus on the cues and don’t let your mind wander. This will also help keep your mind and body connected to one another which is a key component of staying injury free. Along with this, make sure you are taking class from knowledgeable, certified professionals who know how to safely guide you through a challenging workout, not just push you to the max… someone giving cues you WANT to listen to. FLEX Studios offers a full-body pilates workout that combines Pilates with Strength Training and high-energy music. FLEX operates two locations in NYC: Union Square and NoHo. It may sound cliche and over preached, but there is no better advice than to listen to your body! Since rowing is a total body workout that is low in impact, you get out of it what you put it. Which means, you can push yourself to your max intensity or, if necessary, you can pull back and give your body what it needs that day. You should also feel empowered to listen to what your body needs on a day to day basis. If a movement or exercise feels painful, ask for a modification. If you feel overwhelmed or maxed out, take a break. CITYROW is a rowing-based high intensity, low impact, total body workout. CITYROW offers four types of classes at two locations in NYC: Union Square and Upper East Side. The first is consistency. Whatever workout modality/modalities you choose (such as YogaSpark classes), try to stay consistent and do it several times per week (this can also mean mixing and matching different workouts such as strength training, along with your yoga practice). Too long of a break in between workouts inhibits progression. Your brain becomes more familiar with movements, but your body ends up starting at square one every time you enter the studio. It can start to make you feel confident enough to take positions and progressions that your body can’t support, strength-wise, leading to injury which will then keep you out of action even longer! The second may sound surprising, but it’s to listen to your own body above all else. The instructor, no matter how much training they have, can’t feel what you feel, and will never be able to know your body as well as you. If you don’t feel supported in a move, modify or slightly change the move in order to feel supported and aligned. Ask your instructor for modifications if you’re unsure; I promise, a good instructor wants you to succeed at your level, and progress at a supported, confident pace. You only have one body, and it’s your job to be the number one advocate for it! Yoga Spark is a hot yoga studio where every class is dynamic and fun. Yoga Spark operates two studios in New York: Tribeca (158 Duane Street) and Westchester. Check them out on Instagram @yogasparkstudio. Katie Richey, a teacher at Lyons Den Power Yoga. My two best pieces of advice for avoiding injury while working out both seem very simple, but tend to be hard to do when you’re in the moment. 1) Trust yourself. Something doesn’t feel right? It’s probably not. You don’t need to know a lot about Yoga, or running, or weight lifting to know when something isn’t right for your body. 2) Bend your knees! All the time! Without shame! Keeping your joints soft gives you access to activating the muscles around the joints: your quads, hamstrings, lower abdominals. There is no activity — not even yoga — that benefits from you locking out your knees. Lyons Den Power Yoga has a mission “to empower people to create connection and take action on what matters most to them through the practice of Baptiste Yoga.” Lyons Den Power Yoga has two studio locations in NYC: Chelsea and Tribeca. (1) Listen to your body. If something doesn’t feel right — DON’T do it! (2) Don’t be afraid to push yourself — but not too far. Recognize your limits. Back to #1. Listen to your body. Box+Flow combines cardio boxing and power flow into 55-minute classes that offer inspiration + empowerment thru energy, breath, movement + music. Box + Flow is located at 55 Bond Street on the 2nd Floor. 1. Warm-up your glutes and core: these are two giant muscle groups in your body, but they tend to be underutilized because we spend so much of our day sitting. Before I begin any workout, I do a few simple exercises to “turn on” my glutes and core. Laying on my back, I raise my hips 30 times in bridges and I’ll do 30 crunches, with my knees in tabletop, at 90 degrees over my hips. 2. Mix it up: one of the most common injuries are overuse injuries, especially common for those who do long-distance repetitive movements like running, cycling, and rowing. I recommend changing things up by taking different classes and workouts, and of course, making sure you are incorporating a flexibility or yoga practice at least once/week. 305 Fitness is a dance cardio workout with a live DJ. 305 Fitness operates 2 locations in NYC: Midtown and Greenwich Village. Sadie Kurzban is the founder and CEO of 305 Fitness and has been featured in numerous outlets including Good Morning America, the Today show, Inc, Cosmopolitan, Refinery29, the Washington Post, and the New York Observer. It’s not always about working out harder, but working out smarter. The two pieces of advice below will help keep clients healthy and injury free! Modifications are your friend! Don’t think of a modification as the easy way out, we often times work more effectively when we modify since we are able to keep our bodies in better alignment and proper form. Listen to your body! There is a big difference between hurting from muscles working and actual pain from muscles straining. Step away from the thought “no pain, no gain.” If something doesn’t feel right, your intuition is probably spot on — take a break or ask your instructor to assist you into better form. SLT combines cardio, strength training, and pilates to create a total body workout that strengthens, lengthens, and tones. SLT has 8 locations in NYC (Midtown, Flatiron, Soho, E 67, E 87, UWS, Tribeca, and Chelsea) and 3 locations in Brooklyn (Willamsburg, Cobble Hill, Park Slope). 1) Focus on the small stuff. Often times injuries happen doing the small daily stuff outside the studio. Picking up the kids, stepping down from the curb, carrying the groceries. Something we focus on at bari is strengthening and stabilizing the smaller muscles so that when you do step down from the curb a little wobbly, your stabilizers kick in and catch you before you roll your ankle. While using your larger muscle groups to become a sweaty mess is great and may feel like a better workout — things like pilates or our bari sculpt class will save you when it comes to preventing injury. 2) Keep it moving! Never simply begin or stop. You want to ease in and out of your workout with a dynamic warm up and cool down. No excuses! Bari Studio combines dance cardio, trampoline, and toning to create a high-adrenaline, low-impact workout. Bari Studio operates one location NYC: Tribeca and one location in New Jersey. NOTE: Comments are general suggestions for individuals in specific classes. This article is not intended to offer any type of medical advice or to be used for diagnosis in any way. If you are dealing with pain or injury or are looking to speak to a professional about avoiding injury, seek medical advice from a physician or physical therapist.